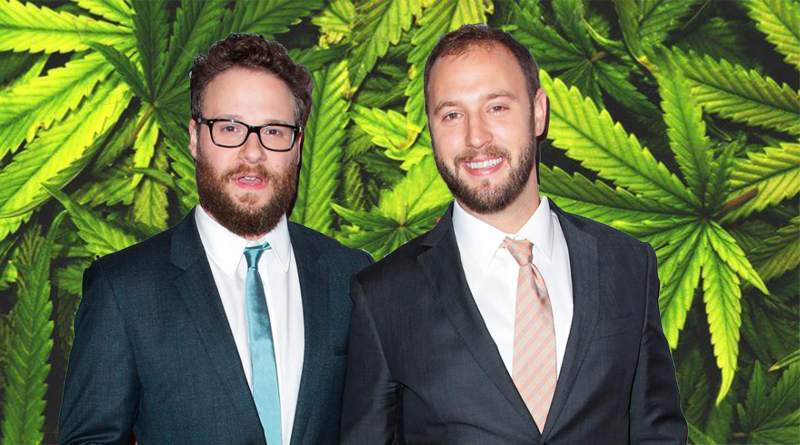 Seth Rogan has teamed up with Evan Goldberg again to launch their own cannabis company. Rogan and Goldberg’s previous collaborations include the legendary comedies Superbad, Sausage Party, The Interview and the iconic ‘stoner-flick,’ Pineapple Express. Houseplant will be working closely with global cannabis firm Canopy Growth to bring original strains and cannabis products to the emerging recreational cannabis market in Canada, where cannabis is legal country-wide following legalisation earlier this year. “Houseplant is a passion we’ve brought to life through drive and dedication. “We are so proud to be launching in Canada, our home,” Goldberg added. “We have been getting to know the Houseplant team for quite a while now and continue to be impressed by their understanding of the cannabis consumer, attention to detail, and drive towards their vision. Houseplant will be launching three original strains: Houseplant Sativa, Houseplant Indica, and Houseplant Hybrid. The first, Houseplant Sativa, will be available for Canadians from next month via provincially regulated retailers and online in British Columbia. The company will offer dried cannabis flower, soft-gel capsules, and pre-rolled joints nationwide. Canopy Growth is no stranger to working with well-known cannabis celebrities. The cannabis firm is already working with Martha Stewart on a range of hemp and CBD products. Legendary cannabis celebrities Willie Nelson and Tommy Chong have long been involved in the cannabis industry. Nelson launched “Willie’s Reserve,” in 2015, selling a range of cannabis products, including flowers, edibles and even vape cartridges, all complete with their own distinctive design embracing his Native American heritage. Chong’s collaboration with Paradise Seeds, Chong’s Choice, includes a similar range of products based off three original strains (Blue Kush Berry, L.A. Amnesia, and Medocino Skunk). Whether Rogan and Goldberg’s venture into the cannabis industry will achieve the same level of success remains to be seen, but the comedy duo’s foray into one of the world’s fastest growing markets can only signal a positive step forward for the public perception of cannabis. With more and more celebrities attaching their names to cannabis products, the normalisation of cannabis truly is in full swing. Follow us on Facebook for more cannabis news.